“... but from the beginning it was not so” (Matthew 19:8). “... but from the beginning of the creation God made them male and female” (Mark 10:6). Before the Holy Spirit of Yahweh “moved upon the surface of the waters;” in fact, before the Lord God ever said: “Let there be light” (Genesis 1:3); even before the Earth was “without form, and “void”—Godʼs created workmanship had already made its appearance in the universe, in the dateless past. Therefore, as a result of the Eternal Word proceeding from the Eternal One, galaxies (with their manifold solar systems) leapt into existence (John 1:3). Yet, antecedent to this primogeniture, the invisible God (Colossians 1:15) had brought forth the host of the heavens and all their magnificent glory (Genesis 1:1). That is to say: The world (Cosmos) of the unseen was prior to the world (Cosmos) of the seen. This being true, it is the spirit world that is primary, and all things present in the world of matter (the tangible) are but an echo of that universe not seen. That this physical universe echoes the spiritual is easily proven by multitudes of parallels which exist between the two. One is impressed with how easily holy Scripture draws parallels between the spiritual and physical realms. It is as though the One who knows every end from the beginning (Isaiah 46:10), and calls those things that be not as though they were (Romans 4:17), placed every item of the physical cosmos in place solely to be an object lesson of spiritual truths, and to demonstrate spiritual laws. The ease with which Jesus spoke to Nicodemus of salvation shows this concept clearly. Notice John 3:3-10 where Nicodemus was instructed to be “born again.” Here, Christ employed the model of human reproduction (procreation) to demonstrate the transformation between physical to spiritual life. Jesus is clearly utilizing the physical process of generation to illustrate spiritual regeneration (see also 1 Peter 1:23). From John 3:3 the phrase “gennethei anothen” speaks of conception from above (spiritual), while the “ek hudatos” of verse 5 speaks of actual birth. In Jesusʼ discourse with Nicodemus He is paralleling the natural birth process of a human being with the spiritual birth process. All the components are here: conception (verse 3), the breaking of the water (verse 5), the passing from the birth canal into the atmosphere outside the womb (verse 5), and the taking of the first breath of air outside of the womb (verse 8). While the image is that of a woman conceiving, and birthing a child, the message is this: one must be conceived by the Word of God (1 Peter 1: 23); baptized in water (Mark 16:16, Acts 2:38; Titus 3:5 etc.) and Spirit (John 7:37-39, Acts 2:30 etc. )—evidenced by speaking in other tongues (Mark 16:17; Acts 2:4; 10:46 etc.). 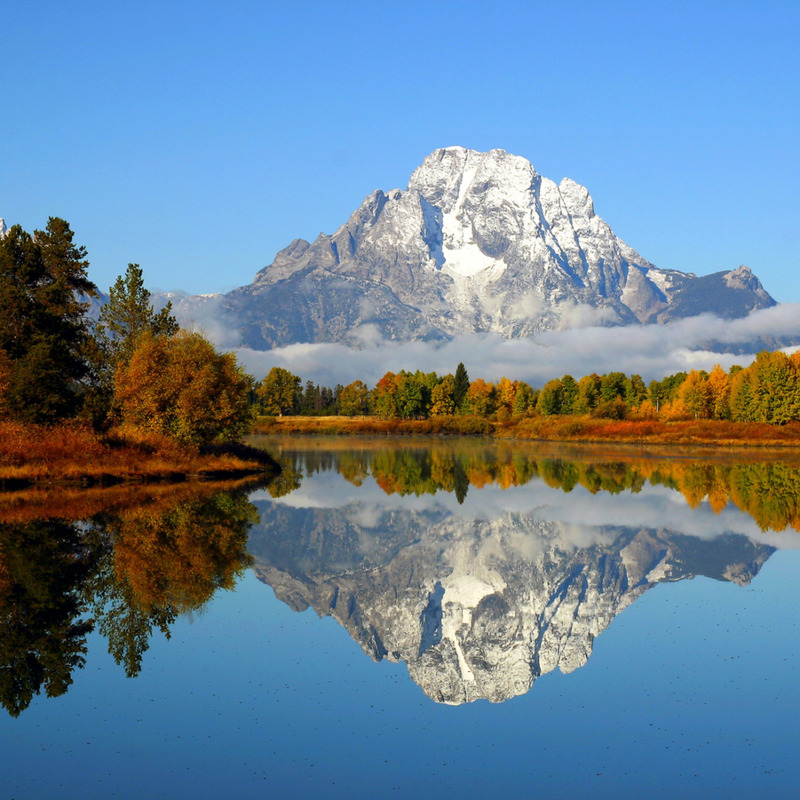 How amazing is the Almighty to have intentionally placed laws and relationships in the natural world that reflect the reality of the spiritual. (The spirit world is primary, in that it was prior.) All things we experience (all laws we humans may discern), from the nature of things, are but mirrored reflections of spiritual realities. This principle is especially true with the way between a man and a woman. The apostle Paul is very telling in his epistle to the Romans, where he writes: “For the invisible things of him from the creation of the world are clearly seen, being understood by the things that are made, even his eternal power and Godhead; so that they are without excuse:” (Romans 1:20). What is the Apostle saying, if not: The creation of the physical world clearly reveals the eternal workings of God - including His very nature? As the signature brushstrokes of the master painter, the Creator of All has left His signature in all He has made. One need only acknowledge the three-ness found in all created matter (from atoms, to plant life, to human life, even to time and space itself), in order to perceive of His nature as Father, Son, and Holy Spirit. 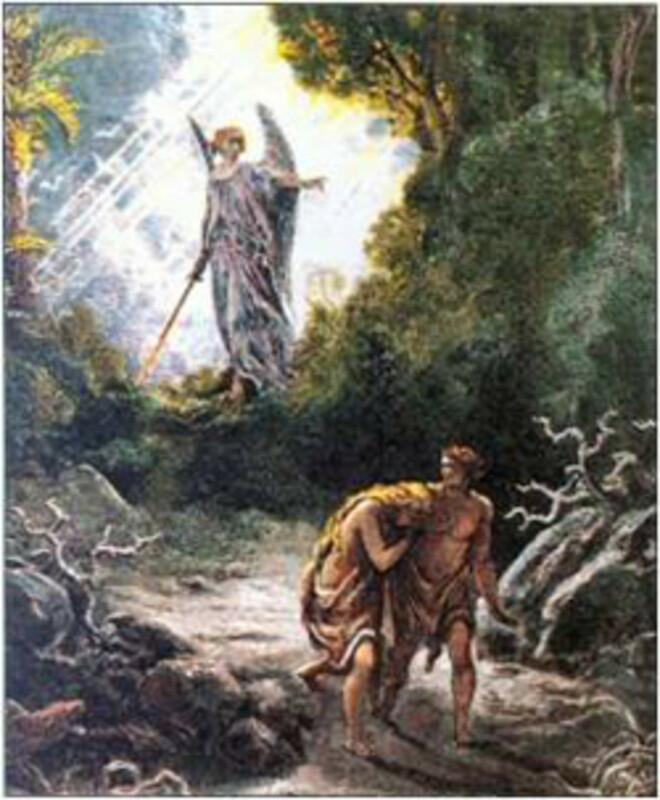 Further, we are told that Adam (the first man) was created as a figure of Him that was to come (Romans 5:14): “Nevertheless death reigned from Adam to Moses, even over them that had not sinned after the similitude of Adamʼs transgression, who is a figure of him that was to come.” Of course the One that was to come was Jesus Christ. The word “figure,” found here, is the Greek word “tupos” (Strongʼs #NT5179) meaning: a die that is struck, namely a stamp; a shape, such as a statue—a style or resemblance; specifically a sampler (“type”), such as a model, or a “for instance:” en(ex)sample, fashion, figure, form, manner, pattern, print. Thus, the first man was a “for instance” of (or for) Jesus Christ. Although it is a clear enough statement to say that Jesus is God, for the entire weight of the statement to be felt we must consider the eternal identity of Jesus of Nazareth. When the prophets foretold His coming they declared Him to be the very God. Isaiah: Isaiah said he would be “... 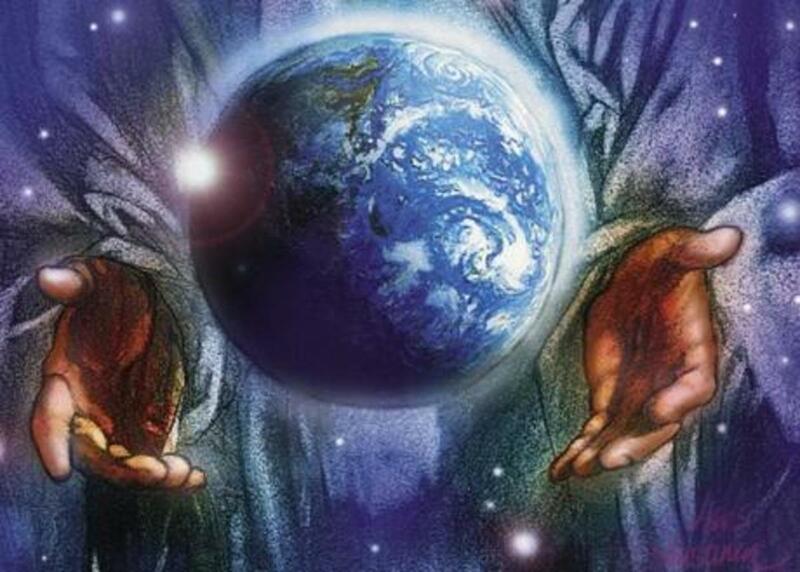 The mighty God, The everlasting Father” (Isaiah 9:6). Micah: Micah wrote that His “... goings forth have been from of old, from everlasting” (Hebrew: the days of eternity) (Micah 5:2). Zachariah: Zachariah called Him: Jehovah pierced (see Zechariah 12:10). To the testimony of the prophets is added the witness of the New Testament writers - who in fact concur. Matthew: Matthew called Him “Emmanuel” (Matthew 1:23). John: John wrote that He was the Eternal Word made flesh (John 1:1-3, 14), and that he was indeed the Father incarnate (John 14:9). Luke: Luke referred to Him as our God who shed His own blood for His church (Acts 20:28). Paul: Paul acknowledges Jesus as being no one less than God Himself (Colossians 2:9). Jude: Jude refers to Christ as: “... the only wise God our Savior” (Jude v25). “Verily, verily I say unto you, before Abraham was, I am” (John 8:58). “... I am the way, the truth, and the life” (John 14:6). “If ye had known me, ye should have known my Father also: and from henceforth ye know him, and have seen him. ... he that hath seen me hath seen the Father” (John 14: 7, 9). 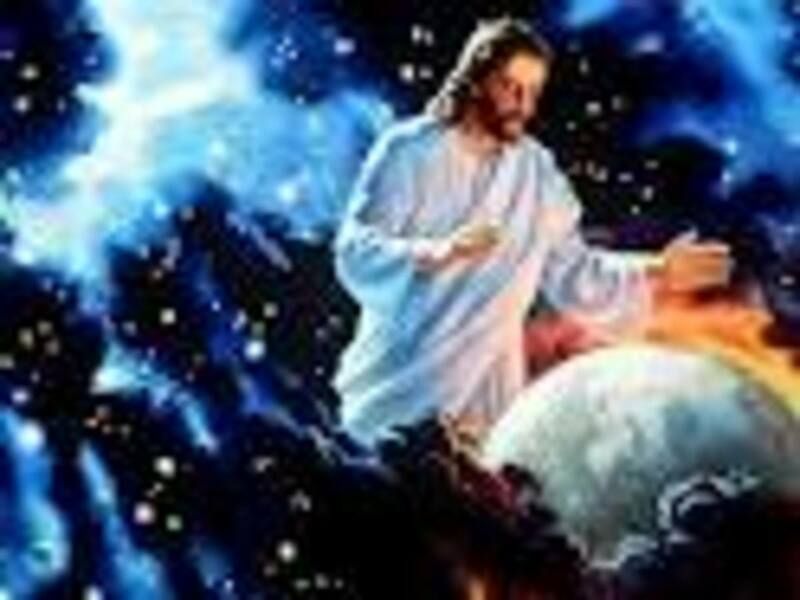 “I am Alpha and Omega, the beginning and the ending... the Almighty” (Revelation 1:8). By now it should be settled in the readerʼs mind that Jesus (the last Adam) was, and is, the Eternal Lord God Almighty, in visible human form (see Colossians 1:15 and Philippians 2:6-11). Having established the preceding facts; it would be good at this time to bring these “facts” to bear on our subject: i.e. that God intended relationship between a man and a woman—in the beginning. 3.) That Jesus is, in very fact, the One eternal God manifested in flesh as a man. The conclusion produced by these three “facts” is simply this: Adam, in the beginning, was an echo of God. “And there came unto me one of the seven angels... and talked with me, saying, Come hither, I will shew thee the bride, the Lambʼs wife” (Revelation 21:9). The total saga of the creation (i.e. the fall of man from grace, and his redemption) is but the unfolding of Godʼs divine romance in the taking of a wife for Himself. The story of the Bible is the telling of this saga. Within the illustration is a divinely ordered union between a man and a woman into one flesh. This divinely planned union is the figure (in Godʼs natural universe) which is to teach the principal of Yahwehʼs love affair with humankind. Consequently, when Jesus rebukes the Pharisees by referencing “the beginning” it was this divine purpose he was recalling. To wit, we are told by the Holy Scripture that the most common denominator for God is love. The apostle John writes: “God is love” (1 John 4:8). Notice that love is not something which God has (possesses). Love is what God is! Now, love has been defined thusly: a strong craving for the presence and possession of the object desired. Therefore, love, by its very nature, demands an object. An object, then, is an absolute necessity for love to have existence. So, here we have arrived at the very germ of Yahwehʼs propensity to create. Namely, He loves! He must have an object toward which He may direct His love. But more than that—the object must willingly receive His love, and mutually reciprocate the same. As we continue to reflect on the words of Jesus concerning the purposeful institution of marriage (in the beginning) it would appear that the loneliness of man (Hebrew--Ish), in the garden, echoes a void (if one may dare to speak of such) in Yahwehʼs own longing. May we speak of Godʼs disquieted love? I think we may. For, you see, the definition of love (under which we are proceeding) demands the presence and possession of the one desired. If either of these two necessary components are absent, love is disquieted. Would Godʼs love be disquieted if the object of His desire (craving) was not in His presence? Of course. Can we not hear the sigh in His “Voice” as He walks through the garden in the cool of the day asking, “Adam, where art thou?” Would Godʼs love be disquieted if, though in His presence, the object of His yearning was not His possession? Absolutely! Who among us cannot feel the gut wrenching pain coming from Emmanuel when He spoke to His should have been wife and said: “Oh Jerusalem, Jerusalem, thou that killest the prophets, and stonest them which are sent unto thee, how often would I have gathered thy children together, even as a hen gathers her chickens under her wings, and ye would not! Behold, your house is left unto you desolate” (Matthew 23:37-38). “...because thou knewest not the time of thy visitation” (Luke 19:44). We do hear and feel His pain when he came to His own, was in their presence, but they refused to become His possession (John 1:11). So, then, we may speak of Yahwehʼs disquieted love caused by the lack of a companion for Himself. If it is proper to speak of God in masculine terms (and so it is since God is called Father, but never mother) then it is correct to speak of Godʼs companion in the feminine. So, then, we may ask: whom might she be? From whence shall she come? She who is to be the helpmeet of the Almighty. She who will complete the Complete. She existed in the nos (mind) of God and all of creation would travail to bring her to birth (Romans 8:22). It Is Not Good That Man Should Be Alone. The Scriptures state that all the creatures of the field and air came before Adam to be named. 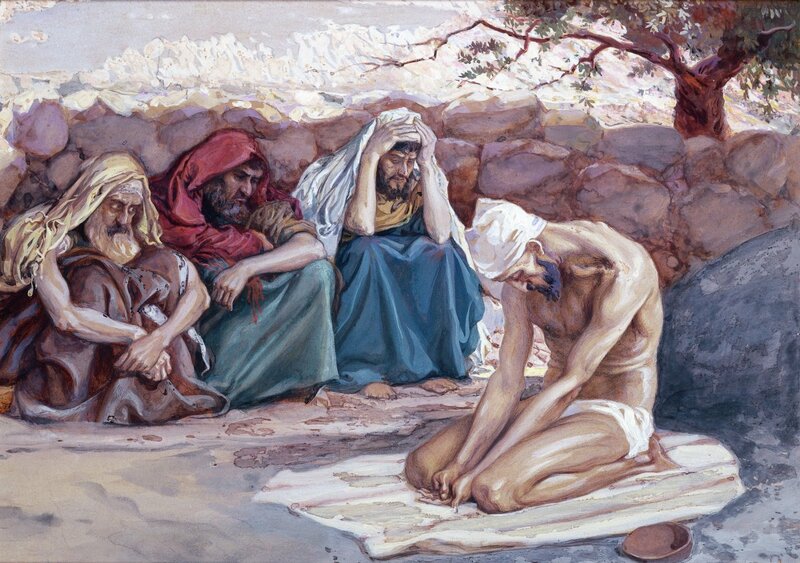 One can almost hear the sigh of discontentment—even un-fulfillment—in the words: “... but for Adam there was not found a help meet for him” (Genesis 2:20). God had noticed this lack and said, “... It is not good that man (Ish) should be alone, I will make him a help meet for him” (Genesis 2:18). ～ The first thing God said was not good in His world was that man was alone! One must ever be cognizant that Adamʼs condition was but a reflection of Godʼs. Namely, it was not good that Yahweh should be alone. Adam, though surrounded by the splendor of the new Earth with all its marvelous inhabitants, was alone: because he was companionless. Even so God! Even though the Almighty surrounded Himself by the magnificent resplendent beauty of the heavenlies, complete with the host thereof, still-and-yet, He was alone. There was no companion for Him—yet. The definition of companion is as follows: a person who accompanies or associates with another; partner, sharer. Before we go too far afield, the touchstone of companionship must be firmly established. That is to say: companionship is the prime motivation between man and woman. Remember Elohim, Himself, said: “It is not good that man (Ish) should be alone.” The Lord God establishes this need in the very beginning, in order to illustrate His need, and His subsequent quest, for His bride (i.e. church). The apostle Paul writes profoundly on the subject of the husband and wife relationship, as a mystery of Christ and the Church (Ephesians 5:22-33). The Apostle speaks of the relationship between the husband and wife as a reflection of the relationship between Christ and the Church. It is pointed out that the husband and wife become one flesh in their union, just as Christ and the Church. In both instances the one completes the other. Conversely, one is left incomplete without the other, and in the incompleteness, love is disquieted. Without companionship, love is unfulfilled. Without companionship, there is no true marriage—in any real biblical sense. God said it, we must remember it: “It is not good that man should be alone; I will make him a help meet for him” (Genesis 2:18). Then, the Bible states that Yahweh made a woman (Ish’sha) from the rib of Adam, “and brought her” unto the man. Here, “in the beginning,” we see Yahweh, Himself, presenting (joining together) the woman unto the man. Eve was a loving gift to Adam, because she was the one made specifically for him. Jesus will later say, “What therefore God hath joined together, let not man put asunder” (Matthew 19:6//Mark 10:9). One must stand in amazement, however, at how few couples in the modern world are together because God actually joined them. Who can deny that the enemy is quick to present a spouse that is not a companion at all, but the very opposite. A point in fact is that most men and women have taken spouses of their own choosing, and God has had nothing to do with it—whatsoever. However, the divine bridegroom had set upon the quest for His companion. 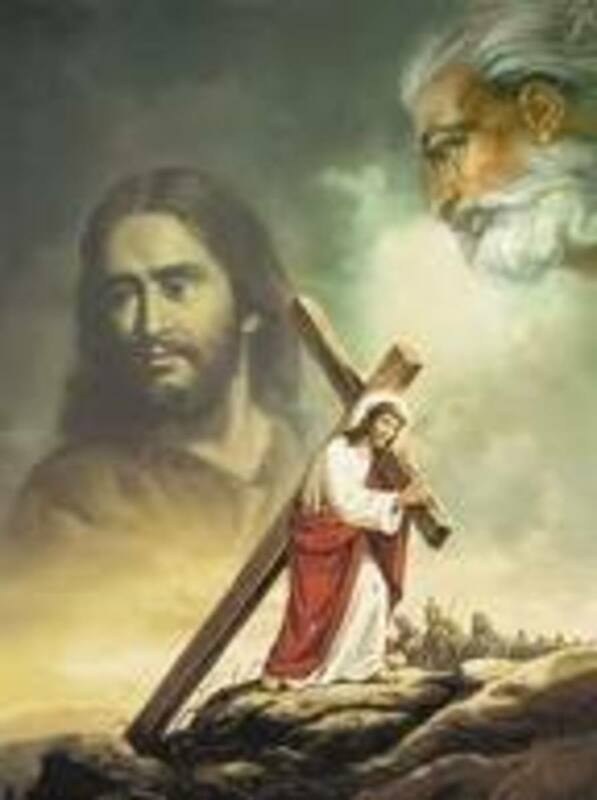 This quest would ultimately bring Him to the cross of Calvary (see Zechariah 12:10, where it was Yahweh, Himself, that was pierced). 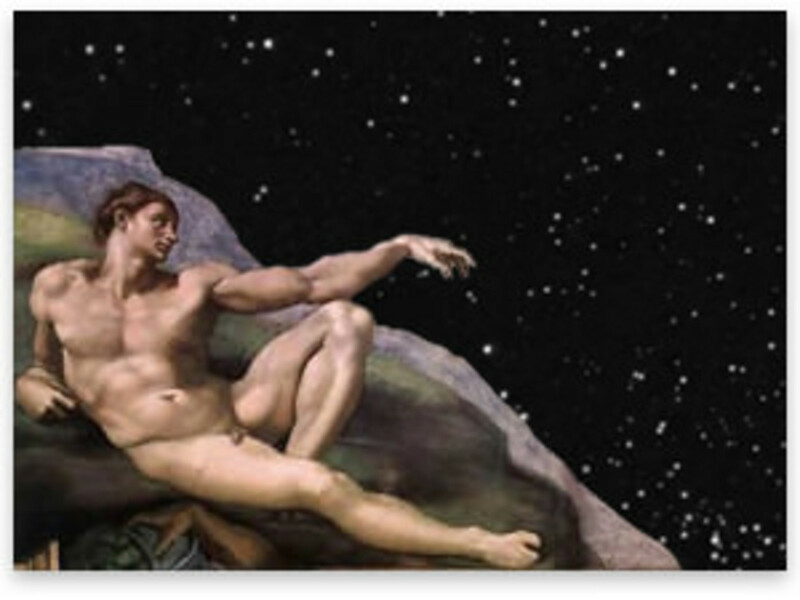 In the Genesis motif of the Divine Romance, Adam was put under a deep sleep, and from his side (not his foot illustrating she is beneath him, and not from his head illustrating she would be over him, but from his side), illustrating she would stand beside him, was taken his companion. She was to share equally in his life—in the beginning. True companionship is illustrated here. Lastly, concerning the “side” illustrating a place of equality for Eve (the wife of the first Adam), and the church (the wife of the Last Adam), it should be pointed out that the bride of Christ (i.e. the church) is a “joint -heir with Christ” (Romans 8:17). The compound word “joint-heir” is from the Greek sugkleronomos (Strongʼs #NT4789), a compound word from sun (StrongʼsNT4862), meaning: union, together, and kleronomas (Strongʼs #NT2818), meaning: getting by appointment, a sharer by lot, i.e. an inheritor, a processor: heir (Which means co-heir: a participant in common). 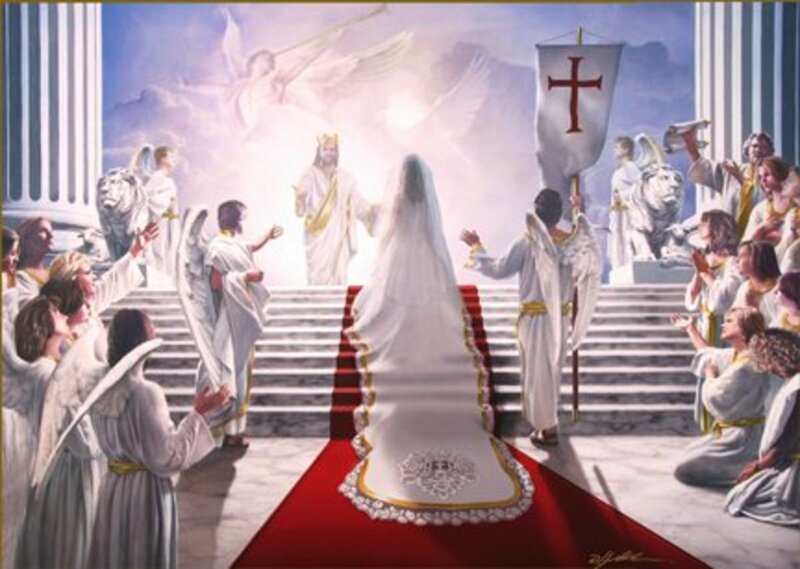 The bride of Christ will share the kingdom in common with the King of kings. In the beginning, the relationship of equality between Ish and Ishʼsha was to illustrate the oneness of Christ with His church; but that was in the beginning. Eve lost that “common” position for herself and her daughters through the curse. For the Lord God pronounced: “... and thy desire shall be to thy husband, and he shall rule over thee” (Genesis 3:16). Much has changed since the beginning. In the beginning both Ish and Ishʼsha were made in the image and likeness of Elohim (Genesis 1:26-27; 5:2). As Elohim is good, pure, holy, just, righteous, merciful, and loving—so, too, was the man and woman He made. So, in the beginning the relationship between Ish and Ishʼsha was a reflection of all the attributes of their Creator; they, after all, were fashioned as a mere “for instance” of their Father. Of all the attributes worthy of God, we must focus our attention on the subject of love: as this quality of God was found in mankind (in the beginning), and as it relates to man and woman within the union of marriage. The purpose of the Ish/Ishʼsha relationship is to demonstrate the Christ/Church union. In this analogy, the lesson centers itself on the concept of companionship. Companionship realizes fulfillment by meeting the needs of some other person—by giving, not taking. In the beginning, before sin entered the garden and the subsequent fall (when both Ish and Ishʼsha reflected the love of the Creator), love focused its force outward. Love requires an object—that is true—but godly love requires an object other than self. The Lord God recognized the loneliness of Adam. Loneliness is the need to share oneʼs self with another. In this sense a companion is one who emits his or her own self toward and into another; namely, giving. In such giving one loves another in the otherʼs self. However, the love of fallen man proceeds in the opposite direction. His love is not characterized by the act of giving, but taking. At some point, after pristine Ish and Ishʼsha were placed in the dewy virginal garden paradise, the Spoiler of all things good turned the heart of Eve—who in turn, turned the heart of Adam. This turning resulted in the spoiling of Ish and Ishʼsha (along with their world) from the dawn-like state of their beginning. It can truly be said that they, and their habitat, were born-again. This new birth was from purity to impurity, from holiness to unholiness, from manifesting God to manifesting self. Notice that the consequences of the fall inverted manʼs interests: changed Ishʼsha from being a giver to being a taker. She in turn convinced Ish to the same state. Thus, the fallen nature of man became egocentric. This egoism manifested itself in the need to fulfill oneʼs self with another; a gratification that results in an absorption of the essence of another into oneʼs self—in a word: taking. Before the fall (i.e. in the beginning), love focused outward and shared, invested, itself in another. Originally, Adam was able, even desired, to love Eve in herself. After the fall everything changed. Love refocused inward. No longer was love an export commodity of the soul; it became an item of acquisition to be prized and possessed. Neither Ish nor Ishʼsha sought to love the other in the otherʼs self; both sought the loving of themselves in the presence of the other. The consequences of the fall is that all the Father intended to demonstrate (in the beginning) by the union of man and woman was spoiled. So then, when Jesus (addressing divorce) declared, “but from the beginning it was not so,” it must be acknowledged that He is referencing the pre-fallen state of the man and woman. The beginning was the time and place absent of pain, betrayal, distrust, or hatred caused by the cancer of narcissism. In short, a place and time totally unlike Jesusʼ place and time, and especially dissimilar to our own place and time. True, “... from the beginning of creation God made them male and female. For this cause shall a man leave his father and mother, and cleave to his wife; and they twain shall be one flesh: so then they are no more twain, but one flesh” (Mark 10:6-8); but, that was in the beginning. Divorce was allowed, even instituted, by the Lawgiver (Moses) exactly because men and women do not live out their lives in the ideal conditions of the beginning. Instead, a fallen race, in its ongoing struggle to make its way through a fallen and cursed world, has appealed to a merciful God for relief, and obtained it in the bill of divorcement (Deuteronomy 24:1-4). Circumstances were different in the beginning! Divorce is a loving Godʼs judicial response, to the unloving acts His children commit against one another. You know, graceinus, from time to time I really get upset at God's people for not studying as they should. Once in prayer I was complaining to the Lord about it. Then He placed in my spirit the thought: That is why he has called teachers - to make the word plain. May we ever be honest with our writing and know that it carries a weight in glory. There are those who will believe what we write, and right or wrong, will take it with them to the judgement. Oh, how ere must step lightly and lead down a sure path. Blessings to you. Thank you for the answer to my question. However, I was not implying it would be easey to understand Jesus teaching on the subject of marriage and/or divorce. With much study on Jesus teachings of it, then they " should" understand it. But that is the problem in this world today. Most people to include christians really don't take the time to really study His teachings on this subject, but most important believe what Jesus was teaching. This is why marriage and divorce is a problem. Thank you for spending time to read and comment on my article. First, if the subject is easily understood it does not seem possible to have so much controversy in its name. Most likely the problem arises when one does not consider all the Bible says on the topic. The sum of His word is truth. Secondly, It does seem that I have made 'Much to do over nothing." But that may prove not to be the case as the subject continues to unfold. Look for future hubs that will build on this one. Again, thank you for stopping by and please feel free to comment on this or any of the hubs you might find worthy of your thoughts. I believe Jesus Christ explained marriage and divorce in a way that everyone should understand it. But you make a mountain out of a mole hill. Why?